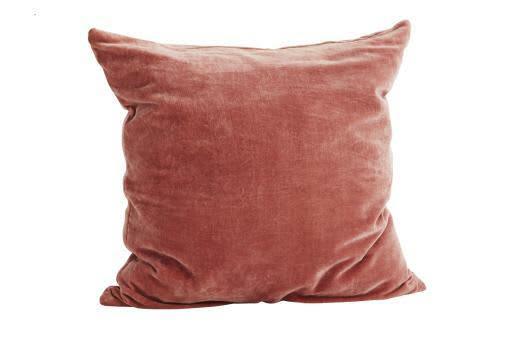 The gorgeous warm blush pink of our Blush Velvet cushion by Madam Stoltz has a slightly faded look to it. Made from cotton velvet. Supplied with a sumptuous feather pad. Lorna Ruby in Exeter, United Kingdom.